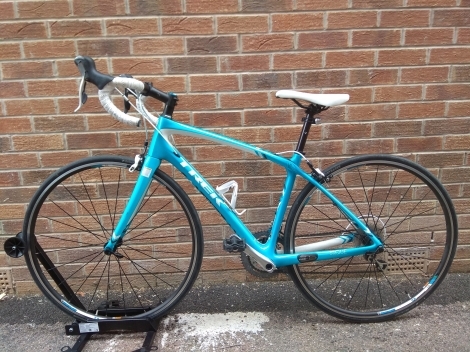 I am selling my wife's Trek Slique, it has hardly been used (less than 100 miles) as she prefers a flat handle hybrid and didn't get into road cycling. All components are original spec. Nearly new condition throughout. 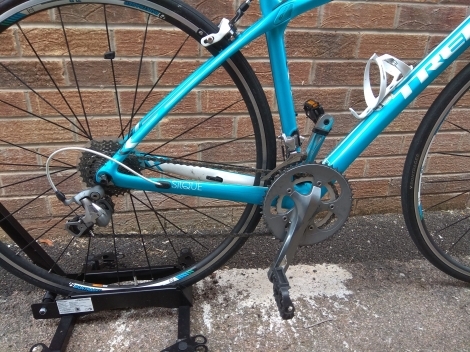 Comes with intergrated Bontrager duotrap cadence/speed sensor.